Accommodating service cranes up to 20,000 ft. lbs. of lifting capacity, the reinforced PAL Pro 20 mechanics body is designed to maximize field performance in both on and off-road applications. 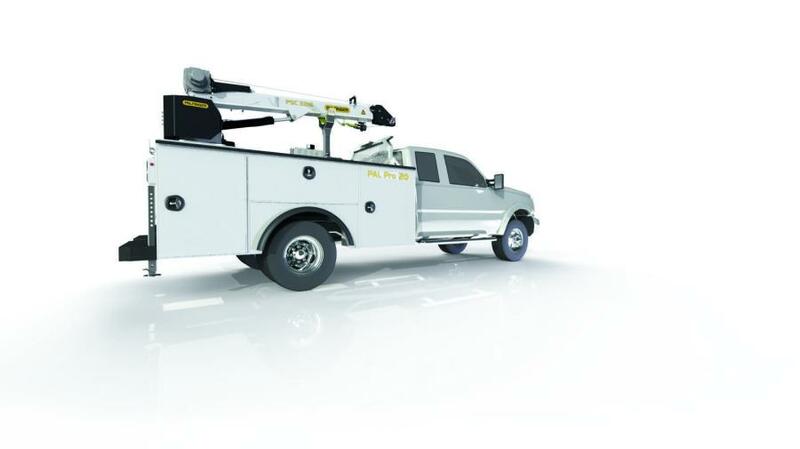 Omaha Standard Palfinger has released its newest mechanics body, the PAL Pro 20. Accommodating service cranes up to 20,000 ft. lbs. of lifting capacity, the reinforced PAL Pro 20 mechanics body is designed to maximize field performance in both on and off-road applications. All compartment tops and raised compartments are reinforced with internal gussets which prevents cracking and allows for mounting of welders, compressors and tool boxes. Every PAL Pro 20 body comes standard with two-piece steel doors featuring internal C-channel stiffeners, automotive adhesive bonding and 316 marine grade stainless steel hinges. The PAL Pro 20 also features a full-length channel drip rail to divert water away from the compartment openings and three-point compression latches for improved security and sealing. To maximize storage and payload, aluminum shelving and roll-out drawers are available with four longitudinal dividers and padded floors. As with all PAL Pro mechanics bodies, the PAL Pro 20 offers the best rust protection in the industry, due to the 12 step E-coat corrosion protection from Palfinger. The PAL Pro 20 is offered in 9 and 11 ft. (2.7 and 3.3 m) standard configurations, with more than 30 bumper and outrigger combinations. For a complete package, PAL Pro 20 is available with Palfinger's PSC 3216, PSC 4016 and PSC 4025 service crane models and Palfinger's PRC 45V rotary screw compressor. For more information, visit www.palfinger.com.